The early part of the year is always an active time for Geodex at various conferences. It is a period when we have the opportunity to present and discuss our projects with the exploration and investment community, getting valuable feedback in the process. 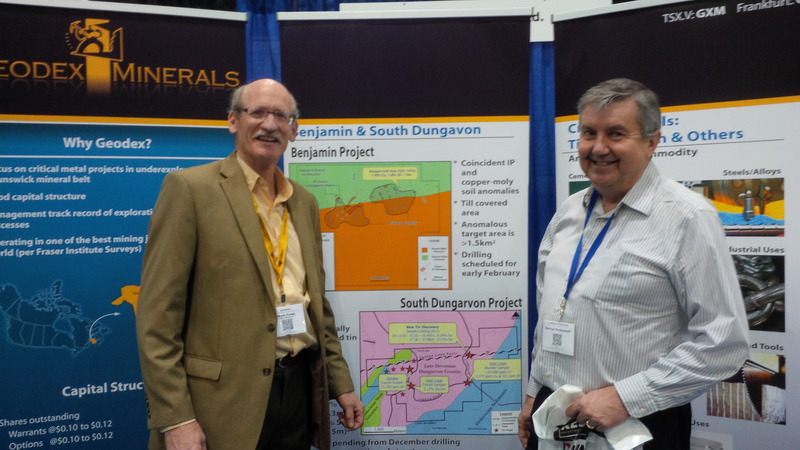 The prolonged downturn in the exploration and mining industry has resulted in fewer participants registered for these conferences, which leads to Geodex getting more attention for being one of a lesser number of junior companies carrying out drill programs. The year starts with the Vancouver Resource Investment Conference, Cambridge House, which just finished on Monday January 20th, 2014 at the Vancouver Convention Centre West. Geodex plans to use social media more actively this year to enhance its experience at the conferences. Watch for some activity in this area from us as these conferences are in progress.